Consumers considering cutting the cord from their cable TV company could benefit from a decision by a federal district court judge in Manhattan. Judge Alison J. Nathan rejected a move by broadcasters to block the operation of Aereo, a service in New York City that streams live broadcast television programming to devices connected to the Internet for $12 a month. If the broadcasters had obtained a temporary injunction against Aereo, it would have killed the company, Barry Diller, whose own firm is a major investor in the streaming service, told The New York Times. Diller is a former high-powered executive at Paramount and Fox. The broadcasters have announced that they will appeal Nathan's decision. While the Aereo case has a long way to go before it's settled, Nathan believes the streaming company will likely be victorious in the lawsuit. That's because what Aereo is doing is substantially the same as what's done with a DVR. That point of law was settled in a case involving cable TV provider Cablevision. In it, a federal court ruled "each RS-DVR playback transmission is made to a single subscriber using a single unique copy produced by that subscriber ... such transmissions are not performances 'to the public.' "
"Performances to the public" are protected by copyright law, which is why cable and satellite companies must pay for retransmitting broadcast TV programming. "[C]opies Aereo's system creates are not materially distinguishable from those in Cablevision," Nathan opined. "This isn't just a win for Aereo, it's also a significant win for consumers who are demanding more choice and flexibility in the way they watch television," Aereo’s chief executive and founder, Chet Kanojia, declared in a statement. This "decision should serve as a signal to the public that control and choice are moving back into the hands of the consumer. That's a powerful statement," he added. If Aereo clears its legal hurdles, it predicts it could expand to 75 to 100 cities in a year. Aereo isn't alone in exploring new ways to stream TV programming. 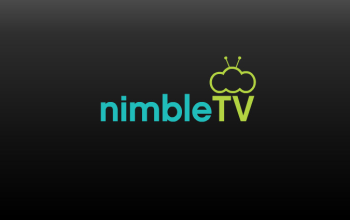 NimbleTV, which launched in a private beta in April, allows cable TV programming to be streamed from its web servers so a subscriber can access his cable TV wherever they can get an Internet connection. 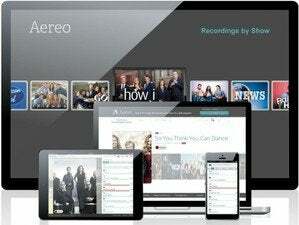 Offerings like Aereo reflect changing consumer viewing habits. A survey by Parks Associates this year, for example, showed that one-third of broadband-equipped American households regularly stream entertainment from Internet-based services like Amazon Instant Video and Netflix.